Police in Edinburgh are appealing for witnesses following an assault and robbery. The incident happened around 3.30pm on Friday 1 July on Nicolson Street. 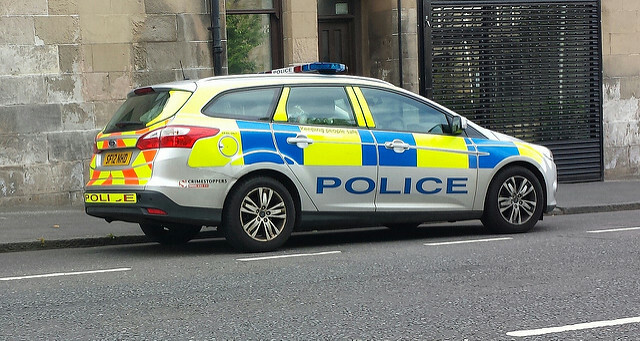 A 16-year-old boy was walking on Nicolson Street, near to Nicolson Square, when he was approached by two men who stole his mobile phone and ran off into Nicolson Square. The victim pursued them and with the assistance of unknown members of the public, one of the suspects was stopped in Nicolson Square. However, the suspect then assaulted the victim and ran off towards Chambers Street. The second suspect was last seen running towards Potterrow. The first suspect is white, slim build, around 18-years-old, with short-cropped fair hair. He was wearing black jogging bottoms with a black and red hooded top. The second suspect is described as white, stocky build, aged early to mid twenties, with short dark hair. He was wearing grey jogging bottoms with a black top. Police believe the suspects may have been involved in altercation with three Asian men shortly before the robbery in nearby West Richmond Street. Detective Constable William Doughty, of Gayfield CID, said: “We’re eager to speak to anyone who may have witnessed this incident, particularly the members of the public who stopped one of the suspects and the three men who may have been attacked in West Richmond Street. Those with any information can contact Police Scotland on 101 or alternatively the charity Crimestoppers on 0800 555 111.